Last week, Senate Health, Education, Labor and Pensions (HELP) Committee Chairman, Senator Lamar Alexander (R-TN), and Chairman of the Committee on Education and Labor, Representative Bobby Scott (D-VA) shared their agendas for higher education reform, providing insight into what may be in the reauthorization of the Higher Education Act (HEA). The senator offered two ways to do this. First, decreasing the number of questions from 108 to a maximum of two dozen. Second, enabling multiple questions to be answered through information that the IRS already has accessible. The senator proposed cutting the number of options to repay loans from nine to two. One option includes deducting 10 percent of a person’s income not needed for necessities directly out of their paycheck. If the borrower is unemployed no money would be required to be repaid, and this would not affect their credit score. The other option would be a 10-year monthly payment plan. Senator Alexander voiced support for loan forgiveness after 20 years. Every program at every college would be required to report on whether borrowers are able to pay off their loans. This was described as an expansion and simplification of gainful employment. Senator Alexander also discussed his support for competency-based education and expanding Pell Grant eligibility to include summer programs, as well as giving currently and previously incarcerated individuals access to Pell. There have been multiple proposals in the Senate that touch upon these three ideas and Senator Alexander plans to work with Senator Patty Murray (D-WA), Ranking Member of the Senate HELP Committee, and the rest of the committee to introduce one inclusive piece of legislation this spring so that the full Senate and House of Representatives are able to pass reauthorization by the new year. You can find the video, transcript and summary of Senator Alexander’s remarks here. Representative Scott reminded the audience that although increased college enrollment is important, increased completion rates are what demonstrate success. He also discussed how HEA must address the rising cost of college in its measures to make college more affordable. Both expressed commitment to reauthorizing HEA in a bipartisan manner. Title III of the Higher Education Act (HEA) is the main source of institutional level funding in HEA, primarily supporting minority-serving colleges. Title III authorizes the Hispanic Serving Institutions Science, Technology, Engineering or Mathematics and Articulation Program (HSI STEM). An institution is categorized as an HSI if at least 25 percent of the full time undergraduate students are Latino. As of the 2016-2017 school year, HSIs include 65 percent of Latino undergraduate students and 15 percent of colleges and universities across the country, and these number will continue to increase. A great example of how this has been implemented is the Laredo Community College in Texas, which developed its STEM Articulation and Summer Bridge program through the HSI STEM grant. The STEM articulation program supports learners interested in STEM in both the college enrollment process, as well as successfully navigating the two to four year transfer. This program includes a Summer Bridge component, which provides incoming college students with advisement on everything from what to expect academically to the interpersonal skills that will be required. Learners in this program graduated at twice the rate of the college’s overall graduation rate. The Higher Education Act (HEA) authorizes the Federal TRIO Programs (TRIO), with the purpose of supporting learners at the secondary level in achieving a postsecondary education. TRIO encompasses six programs targeted for low-income learners, first generation college students and learners with disabilities to excel from middle school through postsecondary enrollment. One program included in TRIO is Upward Bound, which supports low-income and first generation high school students through high school graduation, college enrollment and college completion. In the fall of 2018, the National Center for Education Evaluation and Regional Assistance published a report that reviewed 200 Upward Bound programs across the country and came to the conclusion that such programs increase the number of colleges students applied to and led students to apply to more selective institutions. Upward Bound has over 950 programs across the country. In Vermont, the University of Vermont’s (UVM) TRIO Upward Bound program (UVM Upward Bound) has found success. 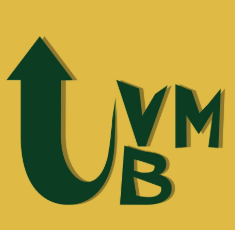 Through UVM Upward Bound, the university coordinates with Burlington High School and Winooski High School to support students in grades nine through twelve in progressing through secondary and postsecondary education. The program includes 63 students and works with the school counselors and teachers of both high schools to provide services such as college and career preparation. Additionally, the six-week summer program (held at the UVM campus) gives high school seniors the chance to plan for the college application process and write their application essays. The summer program also brings students to visit colleges outside of the state. Recently, UVM Upward Bound was given a supplemental grant from the U.S. Department of Education to improve Science, Technology, Engineering & Mathematics (STEM) opportunities for applicable students. In the summer of 2017, UVM joined 50 Upward Bound colleges in putting in place a three year STEM program called Teaching through Technology (T3). This new grant will further support STEM for Upward Bound students by allowing new technology to be acquired as well as hiring additional instructors. Across Vermont, public colleges are coordinating with secondary schools through TRIO to support all learners in a pathway from secondary to postsecondary achievement. The turnover to the 116th Congress provides a renewed opportunity for the reauthorization of the Higher Education Act (HEA). There is agreement across both parties that higher education is a priority area, which could lead to a bipartisan approach to advance HEA reauthorization. In fact, since 1980, HEA has only been reauthorized when control across the House of Representatives, Senate and White House is shared between parties. As the new Congress considers reauthorization, the major challenges facing the economy, most notably the skills shortage, must be central to these debates. Our higher education system must be more responsive to the evolving demands of an ever more competitive global economy. Too many employers report a shortage of qualified workers, while university and college graduates burdened with tremendous debt are unable to find work related to their fields of study. This calls for a major realignment of our nation’s higher education policies. The upcoming reauthorization process will provide Congress a critically important opportunity to achieve this vision for investing in America’s workforce by ensuring affordable and accessible postsecondary opportunities for every learner. For the Labor, Health and Human Services and Education (Labor-HHS-ED) communities, last week was busy to say the least. Congressional appropriators in both the House and the Senate marked up and ultimately approved two separate appropriations bills for the Labor-HHS-ED portion of the Fiscal Year (FY) 2016 federal budgetâ€”an accomplishment not seen in several years despite intense partisan disagreement over the funding levels constraining each proposal. The U.S. Department of Education (ED) and the Carl D. Perkins Act (Perkins) both derive funding from these funding bills which would need to be reconciled and ultimately signed into law by the President before becoming law. However, both bills propose to stay within the Budget Control Actâ€™s (BCA) sequester capsâ€” self-imposed overall limits on how much Congress can spend on the programs falling under this and other portions of the budget. These sequester caps have been at the center of much partisan disagreement since 2013 when they were first triggered. Democrats would like to see these caps raised in order to make much needed investments in education and related programs while Republicans largely want to stay within the caps or offset additional investments with related cuts elsewhere in the federal budget. Without changes to the underlying BCA legislationâ€” something that the 2014 Ryan-Murray budget agreement achieved for FYâ€™s 2014 and 2015â€” funding levels for the majority of programs will stagnate and be at risk of further cuts for FY 2016 and many years to come. In light of this, the House Appropriations Committee approved their FY 2016 Labor-HHS-ED bill on a vote of 30-21. As we shared earlier, the bill would reduce EDâ€™s discretionary budget by $2.8 billion dollarsâ€”a cut that would bring the Departmentâ€™s overall discretionary budget back to FY 2004 funding levels. Final approval of this bill also gave further clarity to what lawmakers intend for the Perkins Act. While Perkins basic state grants would remain level-funded at the same amounts the program received in FY 2015, the bill would reduce Perkinsâ€™ national activities funding by $3.6 million dollars. 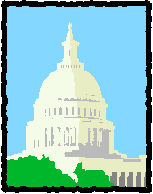 The bill also contains a number of policy riders (both education related and otherwise) such as prohibiting ED from enforcing its recently upheld â€œgainful employmentâ€ regulations and its proposed college ratings system, a move that when taken together with the billâ€™s overall proposed funding levels virtually guarantees that the proposal will not be signed by the President. In the Senate, the Appropriations committee moved quickly throughout the week to get a Labor-HHS-ED bill through subcommittee and to a final vote by its full membership. Approving the bill on a 16-14 vote along party lines, the Senate Appropriations Committeeâ€™s bill would cut EDâ€™s discretionary budget by $1.36 billion. Like the House, the Senate would cut Perkins national activities by $3 million and level-fund Perkins state grants at $1.117 billionâ€”the same amounts the program has received in FY 2014 and 2015. While these figures reflect a nearly 96 percent restoration of the FY 2013 sequester cuts imposed on Perkins, the program on the whole remains well below what it received in FY 2010 and approximately $5.4 million below pre-sequester levels. Despite the gloomy outlook for most of the education community, the central issue in the ongoing funding debate in Congress centers on the BCA sequester caps. As lawmakers struggle to meet the needs of students and families across the country, more will need to be done to raise or eliminate these caps. Until that happens, federal investments in education, and in particular CTE, will continue to stagnate until Congress decides to act. With Congress poised to pass the necessary 12 spending bills needed to fund the government before the August recess, and with Congressional Democrats and the President making clear that they will not support the funding levels contained in these proposals, it remains unclear how this appropriations fight will play out as the end of FY 2015 on September 30th looms ever closer. Be sure to check back here for more updates on the Congressional appropriations process and what that means for the wider CTE community. Late last week the Obama Administration announced a major revision to their proposed accountability-based college ratings system originally due for release later this summer. When first announced, ED solicited public comments on the proposal and NASDCTEc, along with the Association of Career and Technical Education (ACTE), provided feedback on the feasibility of the initiative. Many stakeholder groups within the higher education community shared substantial concerns regarding the viability of the effort and questioned the appropriate role and responsibilities Ed should have in ensuring access to and affordability of postsecondary education. In light of these comments Jamienne Studley, EDâ€™s Deputy Under Secretary and Acting Assistant Secretary for Postsecondary Education, announced that the Departmentâ€™s original proposalâ€”which would have â€œratedâ€ postsecondary institutions into three wide-ranging categories of low, medium, and high performing and tied federal financial aid decisions to that determinationâ€” would now be revised to be a public-facing consumer information tool, providing prospective students and their families with a information regarding postsecondary institutions in order for them to make more informed decisions when making choices about their postsecondary education. This proposal has been a source of much partisan discomfort in Congress, particularly in the House where the most recent Labor-HHS-ED appropriations bill included additional provisions that would have prevented the Administration from implementing the system. Read the House Education and Workforce Committeeâ€™s response to the announcement here. ED plans to have the newly reimagined system available for public use by the end of the summer. Learn more about the effort here. This announcement comes on the heels of another major development for the Administrationâ€™s higher education agenda. Last Tuesday, the U.S. District Court of D.C. ruled that EDâ€™s â€œgainful employmentâ€ regulations can be implemented as scheduled on July 1st, 2015 after several lawsuits from for-profit and private institution trade groups challenged the premise of the new rules. The regulations will require career education programs to meet specific debt-to-income ratios for graduates based on their annual and discretionary income following program exit. This is EDâ€™s second attempt at implementing these regulations and this latest ruling paves the way for the rules ultimate adoption later this week. Read Secretary of Education Arne Duncanâ€™s formal response applauding the courtâ€™s ruling here. As we shared last week, President Obama signed Executive Order 11155â€”a decree that will expand the existing Presidential Scholars program to include up to 20 CTE students each year moving forward. While the details of the CTE component to the program are still being determined, beginning in the 2015-16 school year, the Chief State School Officers will nominate CTE scholars who will then be selected by the Commission on Presidential Scholars. Tomorrow, the White House will play host to another CTE-related event where additional details regarding the announcement are expected. Learn more about this exciting development here. Following the July 4th Congressional recess, the Senate has announced that on July 7th the Chamber will take up its consideration of the Every Child Achieves Act (S. 1177)â€” legislation to reauthorization the Elementary and Secondary Education Act (ESEA). Last Wednesday, the Senate CTE Caucus hosted a briefing on CTEâ€™s role in middle school. The event explored issues impacting CTE in the middle grades and provided a platform for Senator Tim Kaine (D-VA) to speak about his recent reintroduction of the Middle STEP Actâ€”legislation that NASDCTEc has supported and endorsed for the past two years. Learn more about the bill here. The Institute for Higher Education Policy (IHEP) is out with a useful factsheet on recently introduced House and Senate legislation for the reauthorization of the Higher Education Act (HEA). The document focuses on each of the billsâ€™ provisions regarding the collection of student unit record dataâ€” a feature NASDCTEc has advocated in future HEA legislation. Read the factsheet here. EDâ€™s Office of Career, Technical, and Adult Education (OCTAE) is out with a new report titled the â€œEvolution and Potential of Career Pathwaysâ€. The report is part of OCATEâ€™s wider â€˜CTE within career pathwaysâ€™ initiative in conjunction with Jobs for the Future (JFF). Read the report here. The long anticipated 2014 midterm elections took place on Tuesday, ushering in a wave of new Republicans into both chambers of Congress. The central question ahead of these elections rested on the balance of power in the Senate and with it full Republican control of the entire Congress. Late Tuesday night, that question was finally put to rest. As of this post, the GOP has picked up seven new seats in the Senate, with three races still in contention. In the House the results were much the same, with the Republicans swelling their majority in that Chamber to at least 243 and possibly 250â€” a high water mark for the Republican Party not seen since 1928. Although a few races are still in contention, the Republican Party looks poised to add additional seats in both Chambers over the next several weeks, as the elections results continue to trickle in. Democrats who have served in both the House and the Senate on the Chambersâ€™ respective education and appropriations committees have lost their seats which, along with the influx of new Republican lawmakers to the Capitol, will significantly change the composition of the Committees that oversee and ultimately fund the Carl D. Perkins Career and Technical Education Act (Perkins) along with other key education and workforce programs. Senators Kay Hagan (D-NC) and Mark Pryor (D-AR) along with Representative Tim Bishop (D-NY), who have served on education and appropriations committees in both Chambers have all lost reelection. Two others including Senators Beigich (D-AK) and Landrieu (D-LA), are in races whose final outcome have yet to be determined. So what does this all mean for the Career Technical Education community? First and foremost, the key Committees in both Chambers which will oversee the reauthorization of the Perkins Actâ€” the Senateâ€™s Health, Education, Labor, and Pensions (HELP) Committee and the Houseâ€™s Education and the Workforce (HEW) Committeeâ€” will look dramatically different in the 114th Congress which is set to convene formally on January 3rd, 2015. Current Ranking Member of the Senateâ€™s HELP Committee, Lamar Alexander (R-TN), will likely become Chairman of this influential committee, where he is expected to prioritize the reauthorization of the Elementary and Secondary Education Act (ESEA) and the Higher Education Act (HEA) in the committeeâ€™s legislative queue. Additionally, the retirement of Chairman Tom Harkin (D-IA) has positioned Senator Patty Murray (D-WA) to likely take the Ranking Member position on the HELP Committee next January. Both Senators Alexander and Murray were among the main architects behind recent reauthorization of the Workforce Innovation and Opportunity Actâ€” evidence that the two could also work in bipartisan fashion on other education and workforce issues. In the House current HEW Chairman, John Kline (R-MN), is expected to retain his position pending Republican leadership approval of a request for a term-limitÂ extension to stay on as Chair (current House rules cap panel leadership at three terms). For the Democrats, Representative Bobby Scott (D-VA) is anticipated to fill the vacancy left by the retirement of current HEW Ranking Member George Miller (D-CA). With the Republican Party set to take the reins of Congressional power early next year, the question now shifts to what education and workforce legislationâ€” possibly including the Perkins Actâ€” will be prioritized in a new Congress. Nevertheless, the current â€œlame duckâ€ Congress still has much to accomplish beginning next week when both Chambers are set to reconvene. As we have previously shared, Congress passed a Continuing Appropriations Resolution (CR) which extended Fiscal Year (FY) 2014 spending levels into the current FY 2015. This stopgap funding measure is set to expire on December 11th of this year and Congress must act to fund the federal government past that date. NASDCTEc and the Association for Career and Technical Education (ACTE) have calledÂ on Congress to pass a comprehensive omnibus spending bill to replace the current CR and restore funding to the Perkins basic state grant program. Senate Democrats recently circulated a similar requestÂ last month. As all of this and more unfolds over the coming weeks and months, check back here for more information and updates. Last Friday, the Obama Administrationâ€™s Department of Education (ED) released the final version of its widely anticipated â€œgainful employmentâ€ regulations which impact postsecondary institutions offering career education programs. These newly finalized rules, set to go into effect July 1st, 2015, regulate institutional eligibility to access Title IV federal student aid under the Higher Education Act (HEA). Current law requires that most for-profit programs and certificate programs at non-profit and public institutions prepare students for â€œgainful employment in a recognized occupationâ€ to access Title IV student aid money. However, current statute does not fully define the term â€œgainful employmentâ€ and these regulations have sought to do just that. As we have previously shared, these regulations are the result of nearly five years of off-and-on negotiated rulemaking sessions between a broad swath of the higher education community and ED. A previous attempt by the Department to implement new gainful employment regulations was struck down by a federal district court in 2012 which ruled that the rules were arbitrarily constructed and applied, but upheld EDâ€™s authority to make a new, more fully justified set in the future. Last Friday, after months of negotiated rulemaking sessions failed to reach consensus agreement, ED released the final version of these regulations for public consumption. Certification Requirements: Institutions must certify that their gainful employment programs meet accreditation standards, along with state or federal licensure requirements. Accountability Metrics: To remain eligible to receive Title IV funds, gainful employment programs must meet two minimum standards for their graduatesâ€™ debt-to-earnings; less than 8 percent of total earnings or less than 20 percent of discretionary earnings. Public Transparency: Institutions must make performance and outcome dataâ€” including costs, graduate earnings, debt and completion ratesâ€” publicly available for each of their gainful employment programs. The Departmentâ€™s factsheet which lays out these metrics in a bit more detail, can be found here. Significantly, ED did not include a program cohort default rate (pCDR) as a third accountability metricâ€” a measure which was included in the Departmentâ€™s initial proposal this past spring. Many community colleges and sub-associate degree institutions argued that a pCDR metric would unfairly penalize their programs whose students largely do not receive any federal student aid. While these regulations are set to go into effect July 1st, 2015, a transition period for institutions to meet the more stringent debt-to-earnings metrics will be established over the next seven years to allow programs to make the necessary changes to meet these new requirements. A press release from ED, containing more information can be found here and the final regulations can be found here. Our final panel discussion on the morning of Tuesday April 1, 2014, was on other major federal policies and initiatives that impact â€“ or have the potential to impact â€“ Career Technical Education (CTE). David Blaime, Senior Vice President at the American Association of Community Colleges, opened the panel by discussing some of the major provisions he believes will be addressed in future reauthorization of the Higher Education Act, which wonâ€™t likely occur before 2015. He identified three themes emerging from the current discussions: reducing complexity in student lending (in terms of regulation and the number of programs), accountability tied to the quality of postsecondary institutions, and a potential shift to outcome-based accreditation, as well as how the U.S. Department of Education oversees accrediting bodies. Angela Hanks, Policy Analyst from the New Skills Coalition next gave an update on the current state of the Workforce Investment Act (WIA), which has been due up for reauthorization since 2001. In the last year, the House and the Senate Health, Education Labor and Pensions Committee each passed an updated WIA bill. While these two bills were developed and passed largely along party lines, last week the leadership from both the House and Senate met in conference to discuss opportunities for a new WIA. NASDCTEc will keep everyone informed as details emerge from those discussions. Finally, Dr. Johan Uvin, U.S. Deputy Assistant Secretary in the Office of Career, Technical and Adult Education at the U.S. Department of Education, shared some of the Administrationâ€™s major initiatives to support CTE and workforce development aligned to President Obamaâ€™s goal of ensuring every American has at least one year of postsecondary education or training. Specifically, he mentioned the $100 million in Youth Career Connect grantsÂ and the Performance Partnership pilots, which will allow a state, region, locality, or Federally-recognized tribe to pool a portion of discretionary funds they receive from multiple federal agencies while measuring and tracking specific cross-program outcomes, to facilitate better coordination and reduce redundancies. He also highlighted a number of new items put in the 2015 budget including $150 million for competitive high school redesign grants, $110 million for STEM innovation networks and $75 million for accelerated pathways. This week, the U.S. House of Representatives approved a bill to link interest rates on student loans to economic factors; if the economy improves, interest rates would rise. The bill, an amendment to the Higher Education Act (HEA), has already been approved by the U.S. Senate and will likely soon be signed into law by President Obama. The White House notes that the new loan rates would immediately impact 11 million borrowers and reduce average undergraduate interest costs by $1,500. Though the amendment successfully passed the House and the Senate, the topic of student loan interest rates is likely to emerge again as the reauthorization of HEA begins to take shape this fall. The House Education and the Workforce Committee asked education stakeholders to submit their views on policies that should be included in the upcoming reauthorization of HEA. NASDCTEc has worked with members in the higher education community to identify our broad priorities for HEA, which include improving data alignment between key pieces of legislation, reducing barriers to financial aid for traditional and non-traditional postsecondary students (including reinstating the Ability to Benefit option), and ensuring access to Title II funds for Career Technical Education (CTE) teacher preparation and professional development. The Senate Committee on Health, Education, Labor and Pensions (HELP) also expects to announce a call for public input on HEA reauthorization soon. After a brief markup of the Workforce Investment Act of 2013 (WIA), or S. 1356, the Senate HELP Committee approved the bill by a vote of 18-3. An amendment to increase the accountability of Job Corps programs was included. The bill will next be considered by the full Senate. NASDCTEc is pleased that Congress is moving forward with the reauthorization of WIA and has taken into consideration several areas that are important for CTE, including promoting programs that result in industry-recognized postsecondary credentials and align with the needs of local economies. However, the bill passed by the HELP Committee included an area of major concernâ€“ a funding infrastructure mechanism for One-Stop programs under WIA â€“ that would negatively impact CTE by siphoning funding from the Carl D. Perkins Career Technical Education Act (Perkins). Read more about this issue and our concerns in this blog. As the bill moves to the full Senate, please encourage your networks to contact your Senators. Ask them not to use Perkins funds for WIA infrastructure, and urge them to maintain current law. At the end of this week, Congress leaves for summer recess without having reached agreement on FY 2014 spending bills, total spending levels, or what to do about sequestration. When they return to Capitol Hill in five weeks, members will have just three weeks to reach an agreement on these issues to avoid a possible government shut down on October 1, 2013. On a conference call this week held by the Senate Democratic Steering and Outreach Committee, Chairman Mark Begich (D-AK) and Senator Debbie Stabenow (D-MI) spoke of the damage caused by sequestration and its negative impact on the economy and the middle class. The Senators encouraged listeners to use the Congressional recess wisely by contacting Congress members to specifically describe how sequestration is hurting constituents in their state or district. NASDCTEc urges you to contact your Congress members and tell them how sequestration is damaging CTE programs and your local economy.